I think I’ve finally come to terms with my Kickstarter addiction. Basically, I choose an item to “back”, and wait until that product arrives on my doorstep before I find something else to invest in. Most of the items I fund take around a year to get manufactured, so this seems to be a compromise that my bank account can handle. Last summer, I wrote about my latest Kickstarter purchase, the Turing Tumble. I expected to receive it in January, but a few obstacles were encountered during production that delayed it to the summer. Sadly, this meant that only the few students that attended my robot camp got a chance to test it out, but I think I got a pretty good idea of its impact from them and my 15 year old daughter. 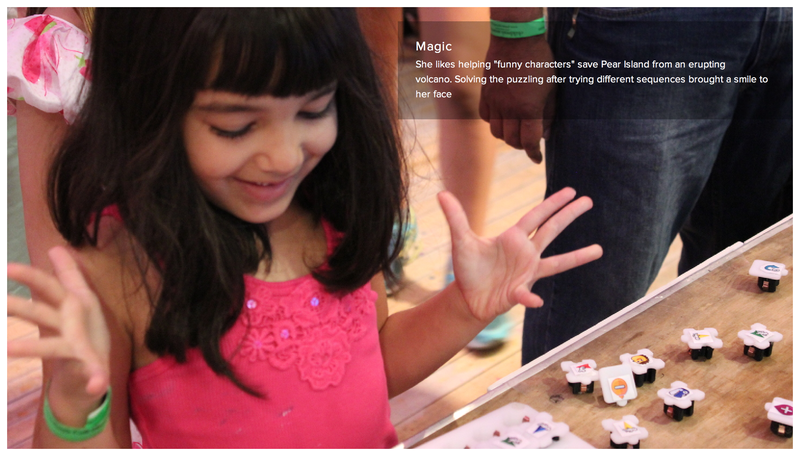 Paul and Alyssa Boswell, who invented this unique game, kept their Kickstarter backers very well-informed during the production process. Packaging is a huge part of getting products like this into the hands of consumers, and there were a lot of bumps along the way. However, I think they got it right in the end. Turing Tumble arrived in a substantial box that has a customized insert for all of the pieces. It will definitely make it easy to store. Speaking of pieces, there are a lot, including tiny red and blue marbles that are “tumbled” in the games. The quantity of small pieces is a definite reason you should not ignore the age rating of 8 to Adult. I would caution anyone with young children or pets (like mine) who are living vacuum cleaners to set up this game in an area where accidental flying marbles won’t be immediately ingested . A few of my students, ages 8-10, got to try out the game. Despite the beautiful images by Jiaoyang Li that accompany the story in the puzzle book, the students skipped straight to the challenges. Once they understood the basic structure of the book (each challenge has an objective, a picture of the starting setup, and the available parts you should add), they began to cruise through the scaffolded puzzles. A small crowd gathered around whenever they “started a program” by pressing the lever to release the first marble, and everyone watched in fascination as red and blue marbles fell in patterns determined by the placement of pieces. My daughter was equally interested in the game. We sat at the dining room table working our way through the puzzles, and I ended up being the gatherer of pieces as she mentally visualized where to place them in order to accomplish each new objective. I was the one who finally stopped that night – mainly because I was feeling a bit grumpy about her solving the puzzles much more quickly than I ever could. The good news is that anyone can now buy the Turing Tumble – and you don’t have to wait a year to receive it. It is available directly through their website, from Amazon, or Gameology (for New Zealanders and Australians). Turing Tumble also has an education portion on their website, which includes a practice guide. You can submit your email address if you want to hear from the company when they release their Educator Guide. It has been awhile since I’ve succumbed to my Kickstarter addiction, but felt the need to place a pledge last night for “Turing Tumble: Gaming on a Mechanical Computer.” The good news is that the project has already far surpassed its funding goal, and there are still 27 days to go in the campaign. The bad news is that the projected date I will receive it is not until January of next year. Turing Tumble looks like it will be a great addition to my classroom. Because marbles!!!! And logic puzzles in a comic book!!!! And learning the basics of how computers work!!! If I haven’t convinced you yet, check out their Kickstarter page, which gives a very thorough explanation (better than mine) and video of the Turing Tumble in action. 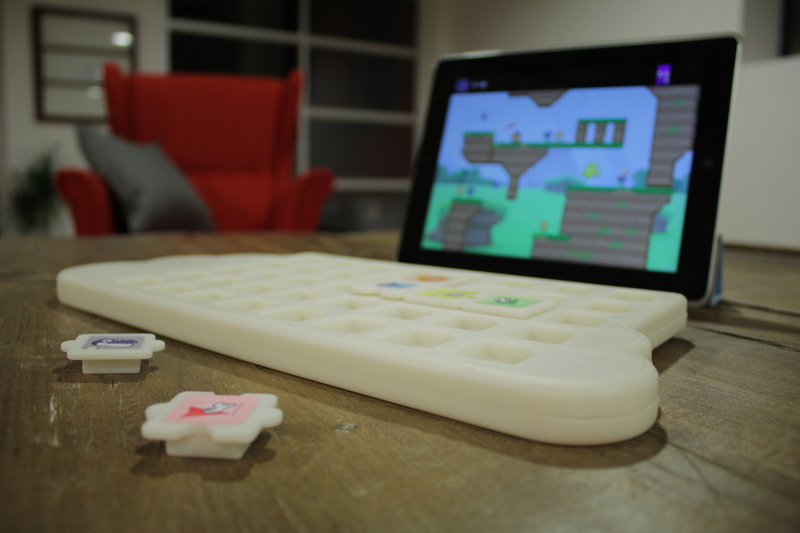 Check out the Turing Tumble, invented by Paul Boswell (above) on Kickstarter! I am constantly prowling Kickstarter for new products that I think might be good for my students. Lately, two STEM-related toys aimed particularly at girls have been on my radar. The first, “iBesties,” only has 3 days left in its campaign as of today. They are very close to reaching their fundraising goal of $50,000. iBesties are dolls accompanied by books. The purpose of iBesties is to raise awareness of careers that currently employ very few women – especially those related to science and technology. 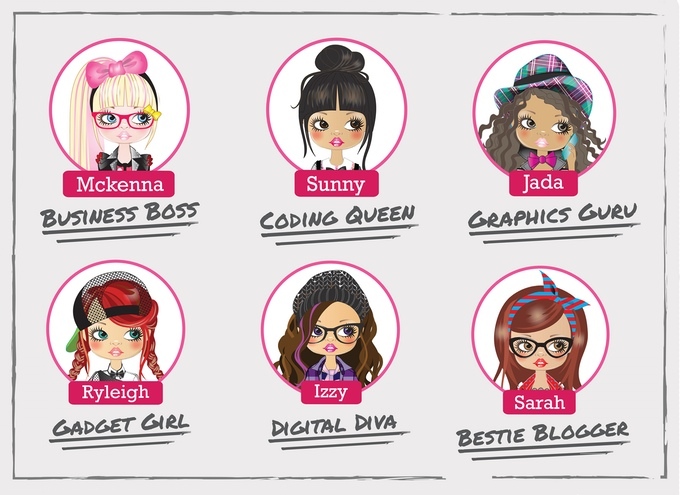 Not every child likes to play with dolls, but iBesties look like a great alternative to Barbie for those who do. If you back iBesties on Kickstarter for $40, you will receive a doll and a book around April of 2016. Check out their Kickstarter site for more info here – but do it soon! 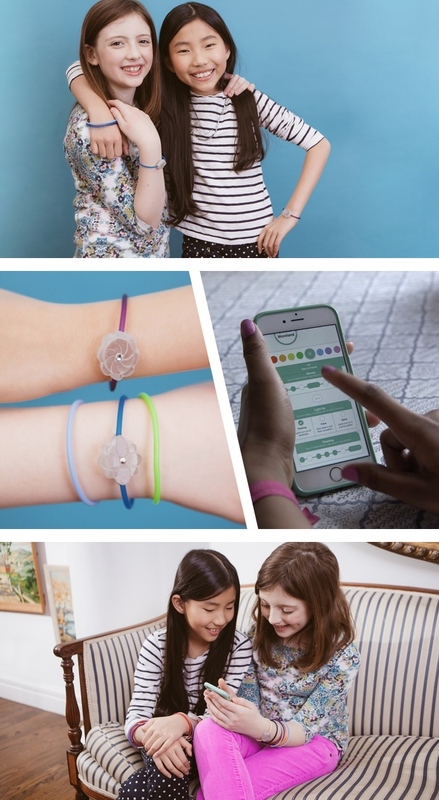 The second Kickstarter product that recently caught my attention is “Jewelbots.” Jewelbots are basically friendship bracelets, but they are wearables (short for wearable technology). The bracelets can be programmed using an app to do such things as light up when another person wearing the Jewelbot nears you, send Morse code messages to each other, or notify you when you receive a text message. One characteristic of Jewelbots that intrigues me is the potential to program the jewelry using Arduino IDE. This opens up many more possibilities for the use of these deceptively simple bracelets – and might be an attractive way to motivate tweens and middle schoolers to learn more about programming. With over $100,000 raised already, Jewelbots don’t need our backing to reach their $30,000 goal. However, you might want to pledge $59 just because you know someone who would be excited to receive one in March of 2016. The funding deadline is 8/7/15, but don’t wait too long! I really wish Kickstarter would offer gift cards. I have a huge obsession with creativity – and browsing Kickstarter fuels that craving. I am awed by the imagination of the inventors, and constantly berating myself for not coming up with any of these ideas. So I do the next best thing. Anyway, it doesn’t take a lot of imagination to see that Makey Makey Go is going to “go” far. Its predecessor, Makey Makey, was one of the 50 top-funded Kickstarter projects ever. I’ve mentioned Makey Makey on this blog several times, including recommending it as a great holiday gift. Jay Silver, the inventor of the original, is behind the new, portable version. You absolutely must see his suggestions for the many uses of Makey Makey Go, including several taking-selfies-in-odd-situations solutions. B. 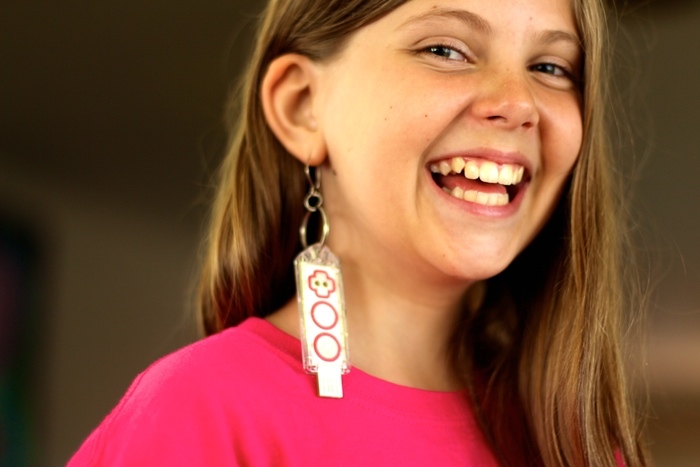 You get two Makey Makey Go Sticks – which means I can wear them as earrings. It’s quite true that I’ve helped to fund a few Kickstarter projects that have ended up in my classroom – most notably the 3Doodler and Robot Turtles. 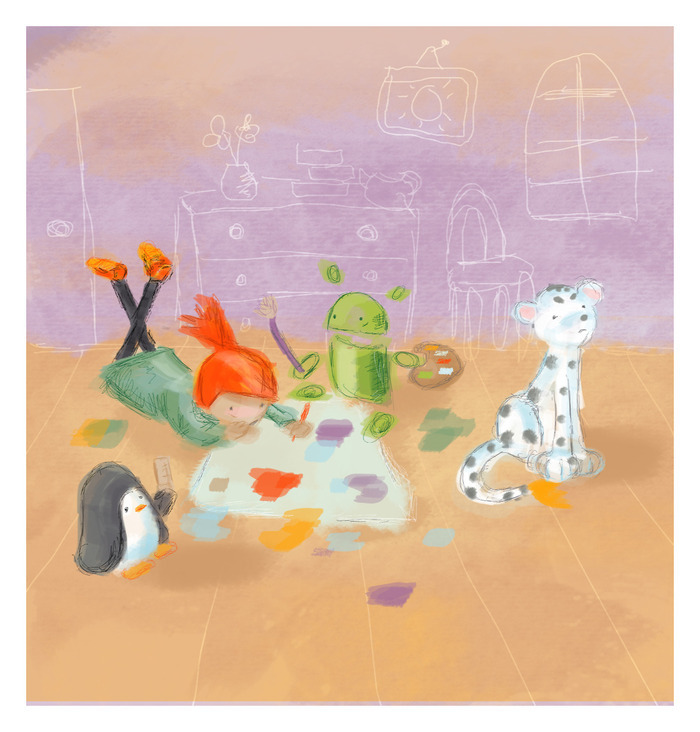 One of my contributions in the last few months went towards a charming children’s book that teaches programming. It’s called, Hello Ruby. (Ruby is a programming language, but also the main character of the book by Linda Liukas.) I haven’t received the book yet, but that’s okay; the author’s updates about the project have already proven my money is well-invested. Liukas would love to receive feedback if you try the activity. Be sure to follow the link on her update to let her know what you think or submit pictures of a “Build Your Own Computer” session in action. Illustration from Hello Ruby by Linda Liukas. Click here to visit her Kickstarter page. 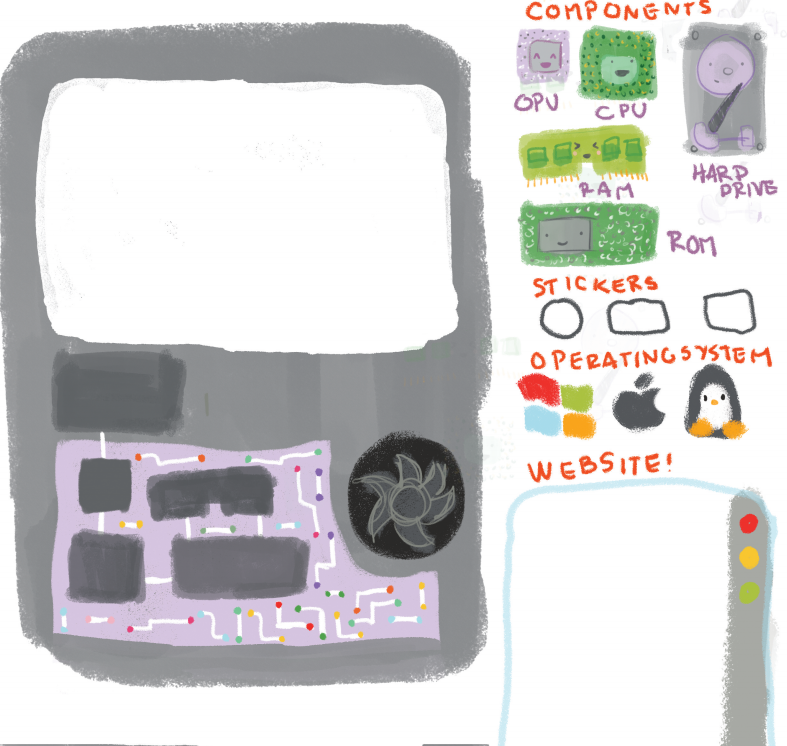 If you are a regular reader, you probably know two things about me – that I am a fan of Kickstarter, and that I am a proponent of teaching kids how to code. One of my more recent Kickstarter acquisitions was the Robot Turtles game, which is a board game that introduces young students the basics of programming. My first graders loved playing it during “Hour of Code” week, and it was easy to transition them to other programming games like Kodable once they had that foundation. The name of the main character of the proposed storybook, Ruby, comes from Ruby on Rails, which is described as “an open-source web framework that’s optimized for programmer happiness and sustainable productivity.” I must admit that, though I’ve heard it mentioned quite a bit in coding conversations, I know absolutely nothing about it. It sounds intriguing – and completely over my head. The drawings are whimsical and appealing, just like Linda Liukas. If you watch the video on her Kickstarter site, you will find it easy to understand why, even though she only requested $10,000 to back the project, over $175,000 has already been pledged – and there are still 25 more days to go. I can’t really recommend a product that I haven’t actually used, but I will tell you that I have backed this project because it looks very promising. For those of you who are not familiar with Kickstarter, there are various levels available for you to pledge, and the money is not taken from you until the end of the funding period (and only if it is fully funded). Also, if the funding surpasses the original request, there are usually “stretch goals”, which allow backers to receive a bit more than they originally expected. Liukas has already listed the stretch goals for “Hello Ruby” on the site. Also, you should note that delivery of this particular product (if you pledge at a level to receive something) is expected in August of this year. It’s exciting to back Kickstarter projects – to get in on the ground floor of the creation of something that has the potential to make a great impact. During the process, you receive e-mail updates, and get to learn more about what has to happen in order for a dream to become a reality. If you haven’t done it before, I encourage you to take a look at the Kickstarter site. It’s a great feeling to contribute to helping someone to transform their ideas to tangible products that could effect the world. 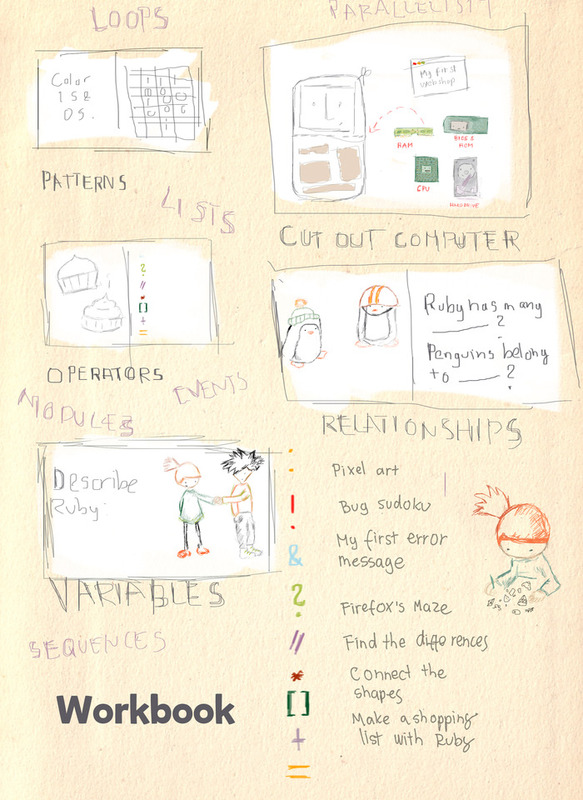 Illustration from the accompanying Hello Ruby workbook by Linda Liukas. Click here to visit the Kickstarter page. I recently found out about a new Kickstarter project from Digital Dream Labs that looks very promising to use at school and at home. It’s called cloudBoard, and it combines the physical and digital worlds in a unique way that could dispel some of the criticisms many have about the prevalence of technology in today’s world. What sets cloudBoard apart from many other products currently available is not only its combination of the physical and digital worlds, but also the way that it fosters collaboration. When you watch cloudBoard‘s Kickstarter video, you will see the joy the kids experience as they work together to problem solve while they play. Justin also acknowledged the need for more girls to get involved in computer science, and mentioned that this was in the minds of the team as they worked on designing a gaming platform that would appeal to both genders. 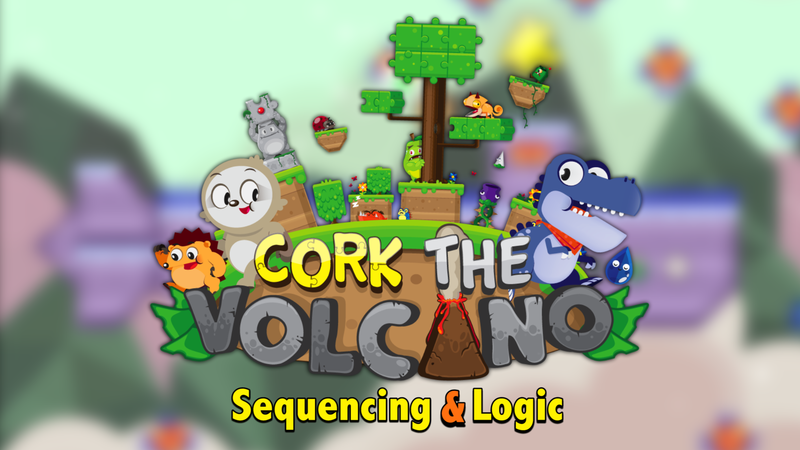 The first cloudBoard game is “Cork the Volcano”, which teaches the basics of programming. Some other games they have in the works are: a music game, an engineering game, and a chemistry game. Even more exciting is that Digital Dream Labs is designing cloudBoard to be open platform, and wants other people to contribute their own games. The deadline to back this project is December 10, 2013. As with all Kickstarter projects, there are various levels for backing the project. $129 gets you cloudBoard and the “Cork the Volcano” game, with an estimated delivery of August, 2014. I urge you to check out cloudBoard. It has great potential!